Leanne Moore, The Joy Enthusiast and Director of Events for ColumbusNavigator.com, is a regular at Rise & Design and the lucky duck who got her name pulled out of the hat to be featured on September’s Creative Spolight! Each month we’ll be showing off a fellow Rise & Designer…mostly because Anna (that’s me) wanted to get to know you all better. But truthfully this is our chance to make a better connection to the people in the room on Fridays! I was a journalism major, but while in college I stumbled into event planning. I was a tour guide and orientation leader for the admissions office and eventually ended up working under the person who planned all of the events. I really loved it and stayed on after I graduated. At the time I didn’t really think of event planning as a career path- it was just a fun thing I was doing. And then I went into corparte, and like most people found it to be a soul-sucking black hole. I had always thought of myself as sort of a creative person but didn’t feel like an artist- what I can do isn’t graphic design. I felt creativity was drawing and art. But I got a job at Franklin Parks Conservatory doing their events and my eyes were opened to the possibly of event planning as a career and a creative outlet. What is your favorite part about event planning? I love bringing people together and am enamored by the idea of all the background things that break down the barriers and distractions to help people actually connect. There is a lot of magic behind the scenes in events and if done right, you shouldn’t even notice. For example, if you’re attending a wedding you should be out on the dance floor and not thinking about the drinks or the speakers. I found a love for being that background person who has thought about all the things ahead of time in order to create an experience for the attendees. My goal is to help people create connections and community and I’m really passionate about it. I totally get my jams from people just being happy and having a great time. I know it sounds silly but the world is stressful- I struggle with general anxeity and so do a lot of other people. I think the idea of being able to create a space where joy and happiness is allowed is really inspiring. 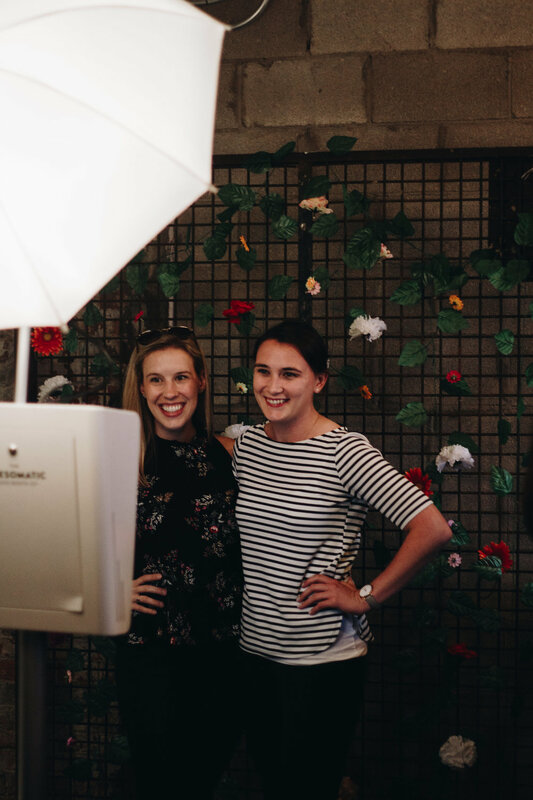 I seek to bring more joy into the world: whether it’s helping people make friends, building community, having real conversation, or just creating a photo booth where people are able to be silly and lose themself for a bit. There aren’t enough spaces in the world where we’re allowed to let loose and be happy. It’s so necessary to have safe space to just come as you are. Jen Gotch! She is the creative director and founder of ban.do- a lifestyle brand. She also a mental health advocate, which is really inspiring because she uses her position to start conversations and create safe spaces for people. ”We’re serious about having fun” is her whole thing. I find it’s a slap in the face for people who just want to be mad all the time. Having people who are serious about fun is something that’s refreshing. I just love that about her. What is a podcast you listen to? I consume a LOT of content and there are several podcasts that I listen to. But I think my favorite is “This American Life.” I listen to it every week and there’s a lot that has really changed my perspective. It’s opened my world up to things I’ve never thought about before. They really connect you to the human existence. If there’s one piece of media that I feel people should consume it’s that podcast. If my life in events has taught me anything, it’s know what your priorities are. That will always help you make the best decisions.